Eat flowers to stay healthy without worrying that you will laugh. 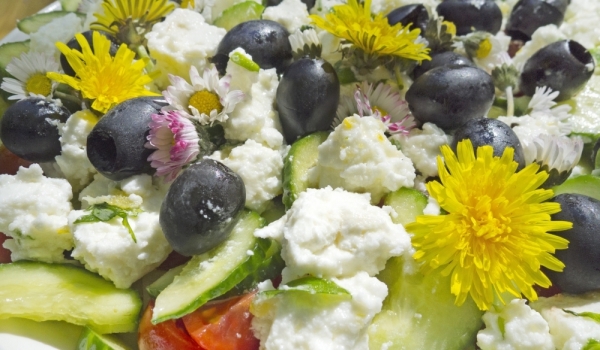 Beautiful flowers can be eaten and are an excellent addition to your health. This is confirmed by a new study from the University of Pisa, who has studied the antioxidant properties of the 12 species of edible flowers. Scientists remind us that flowers are beautiful and good food and have a taste, often similar to a carrot or turnip. Colors act favorably to your health because they are rich in antioxidants. Studies at the University of Pisa seen twelve species of plants, which are often used only as a decorative – violets, petunias, fuchsia and others. An interesting finding is that the antioxidant power of the flowers was considerably higher than that of ordinary vegetables excluding borage and calendula with measured values ​​lower. Part of this high antioxidant activity due to the high content of anthocyanins, at least in the case of flowers with a red or blue colors, and in fact the best fertilising substances are present in most pigmented flowers – said researchers. The study examined the fertilizing properties and attractiveness of flowers by a test of taste. Most flowers have a tangible taste. For example nasturtium reminds turnip and begonia resembles the taste of lemon. Among the flowers, rich in antioxidants, the researchers indicate begonia, nasturtium, pansy, petunia, fuchsia, borage and calendula. Beyond the fixed initial mistrust regarding this strange food is often the flowers remind spicy flavors and acids, sometimes similar to ordinary vegetables, but with a different texture and taste that is soft and fragrant. Attractive food can surely become a staple of our diet. 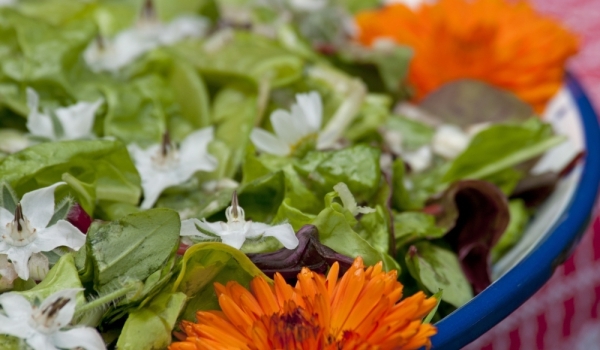 Edible flowers are many and easy to use in the kitchen, simply choose fresh ones from your garden grown naturally or dried and purchased from herbal pharmacies. You can decorate your dishes and cakes with rose, carnation or dandelion. In addition there will be a health benefit, and you can be a pleasant surprise your guests and friends.